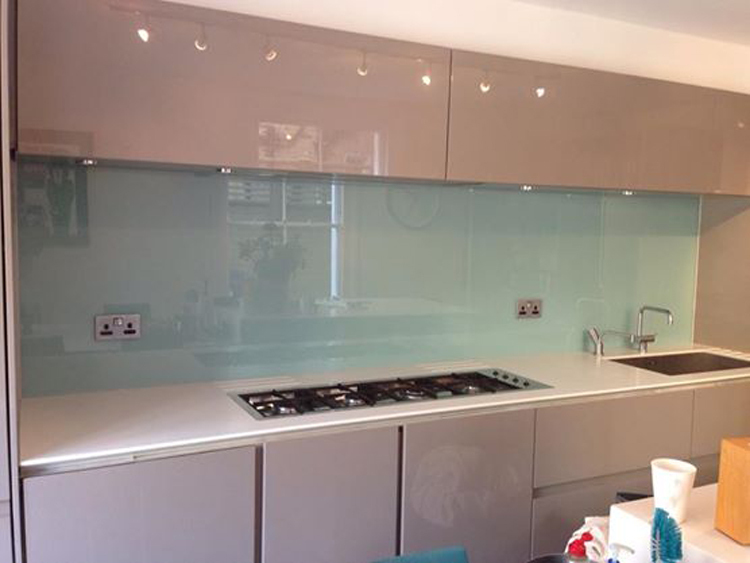 At Southern Toughening Glazing Ltd we are committed to making quality glass kitchen splashbacks. Our kitchen splashbacks are made of 6mm toughened low iron glass making it the perfect choice for your Crystal Palace kitchen. 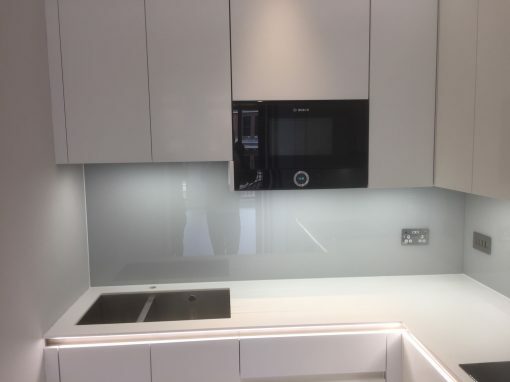 Why choose glass for the kitchen splashbacks in your Crystal Palace home? Coloured glass is an attractive, sleek surface. Kitchen splashbacks made of this material provide a beautiful focal point in your Crystal Palace kitchen. Glass kitchen splashbacks are also easy to clean and durable. They do not stain or harbour mould or mildew ensuring a hygienic and long wearing wall covering. Why should low iron glass be used to create the kitchen splashbacks in your Crystal Palace property? Glass made of low iron does not have the green tint that can be seen in thicker panes of traditional glass. It is completely clear and so, kitchen splashbacks made of low iron glass will not distort or dull the exact colour that you desire. 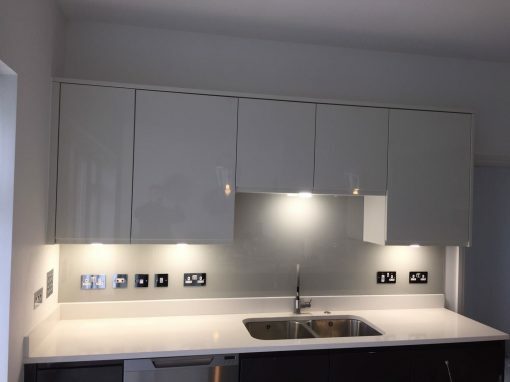 You can be assured that our kitchen splashbacks will perfectly fit the colour scheme of your Crystal Palace kitchen. 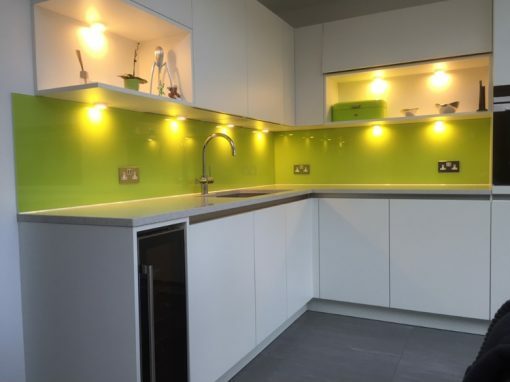 Why choose toughened glass for the kitchen splashbacks in your Crystal Palace kitchen? Located behind the oven, it is essential that any material used to make kitchen splashbacks can withstand hot temperatures and will not break or smash. Southern Toughening Glazing Ltd uses 6mm toughened glass to ensure the highest safety standards. 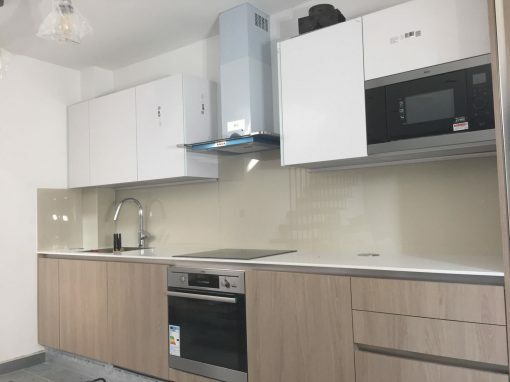 With kitchen splashbacks from Southern Toughening Glazing Ltd you can be certain of a striking, practical, personalised and safe surface for the kitchen in your Crystal Palace home.